As of late, I’ve been helping a couple new Eclipse.org projects prepare for creation and release reviews. 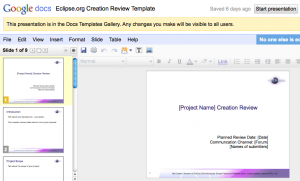 As an Eclipse.org project, you have to follow the Eclipse Development Guidelines. A part of that process is doing scheduled reviews when you’re ready to release. 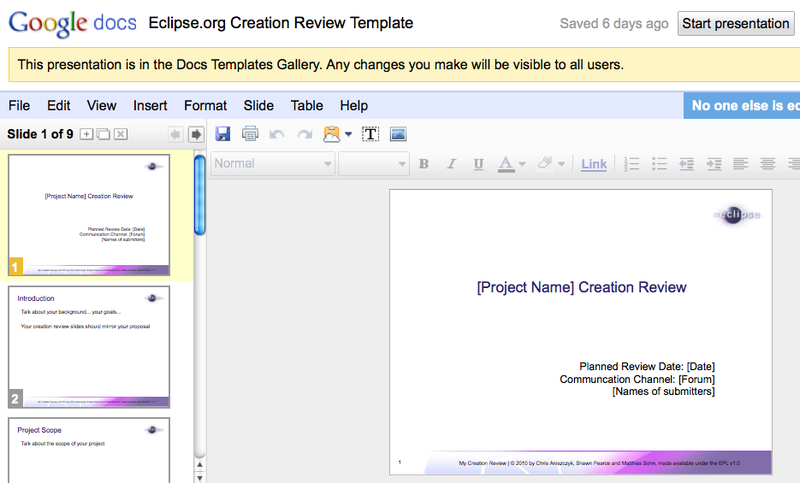 To make the review process a bit easier for some folks, I’ve created some unofficial templates on Google Docs you can use (just search Google Doc templates for ‘Eclipse.org‘ and you should find them). On a side note, if you’re a project lead, a good place is to go to Eclipsepedia for information about the review process.